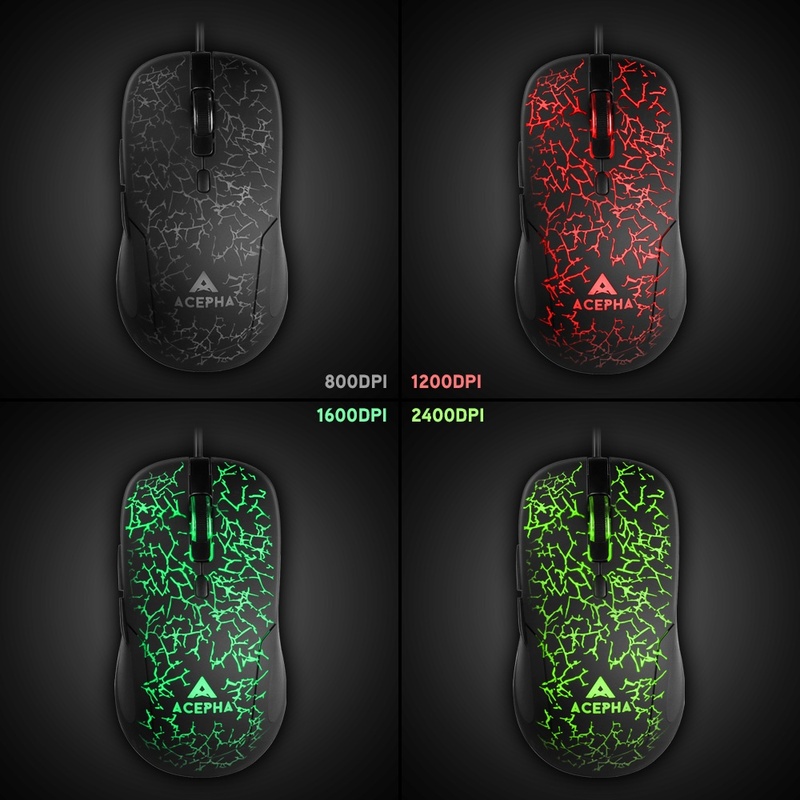 ACEPHA PC Gaming Mice: 2400 DPI, 4 Adjustable Levels, 3 Colors Designed for better performance and superb comfort. 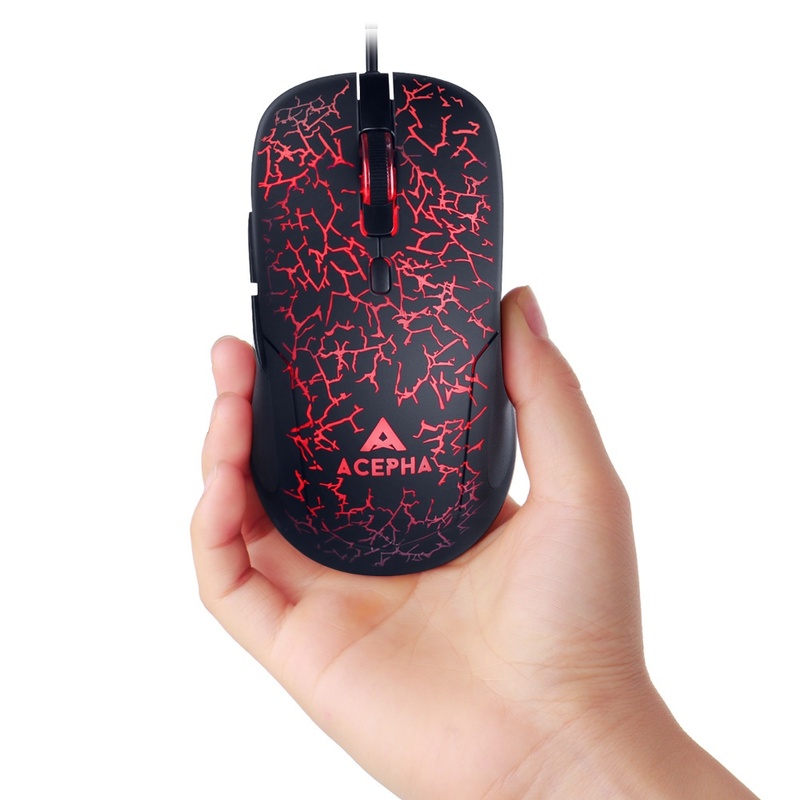 The ACEPHA M998 USB wired optical gaming mouse is designed with adjustable DPI 800/1200/1600/2400. Set your mouse to 2400 DPI for the highest sensitivity while keeping unsurpassable accuracy and speed to dominate the playing field. The color for the DPI can be personalized as you like. 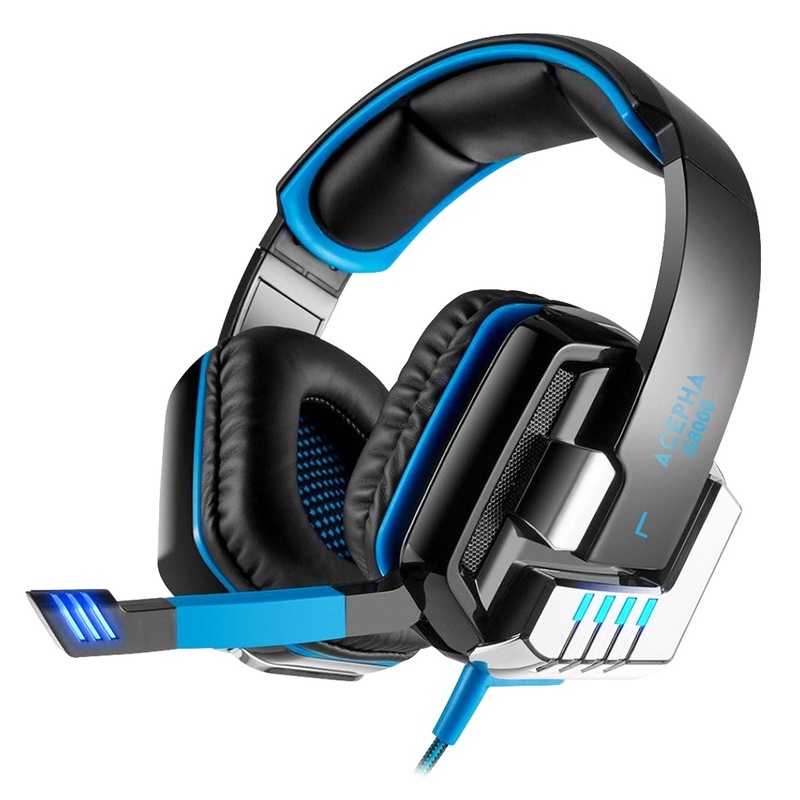 DPI 800 / 1200 / 1600 / 2400 corresponds to different LED colors. Six buttons with superior productivity and efficiency provide excellent stability for users. 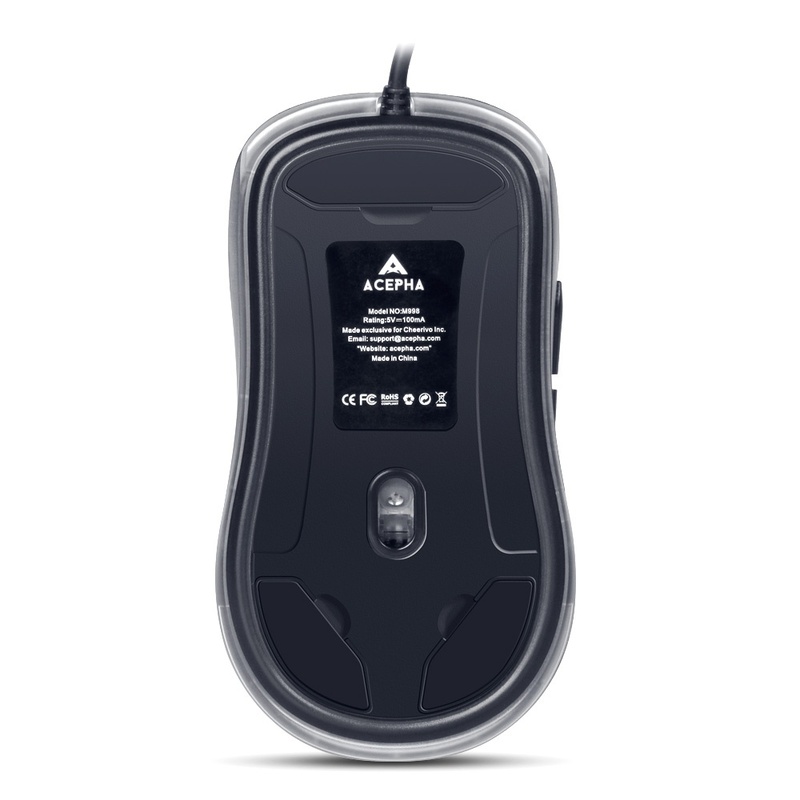 A special Setting Switch Button on the back side of the mouse lets you take command with maximum efficiency. A natural silicone roller and high-quality rubber cable offer greater durability. 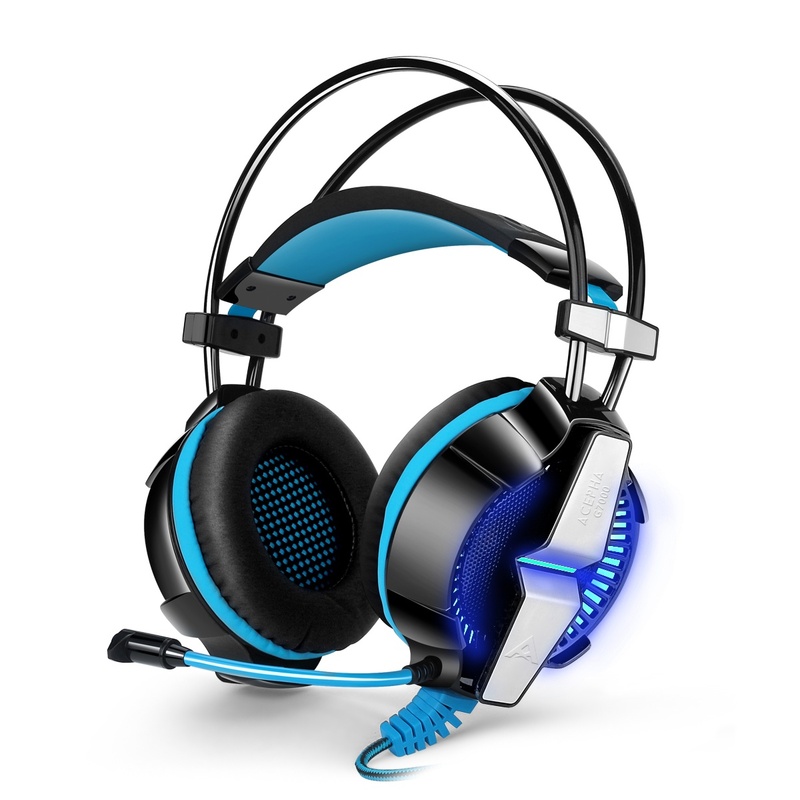 The USB interface provides a stable connection and ensures faster data transmission speed. Each product includes a 30 day money back & 12 month worry-free guarantee! 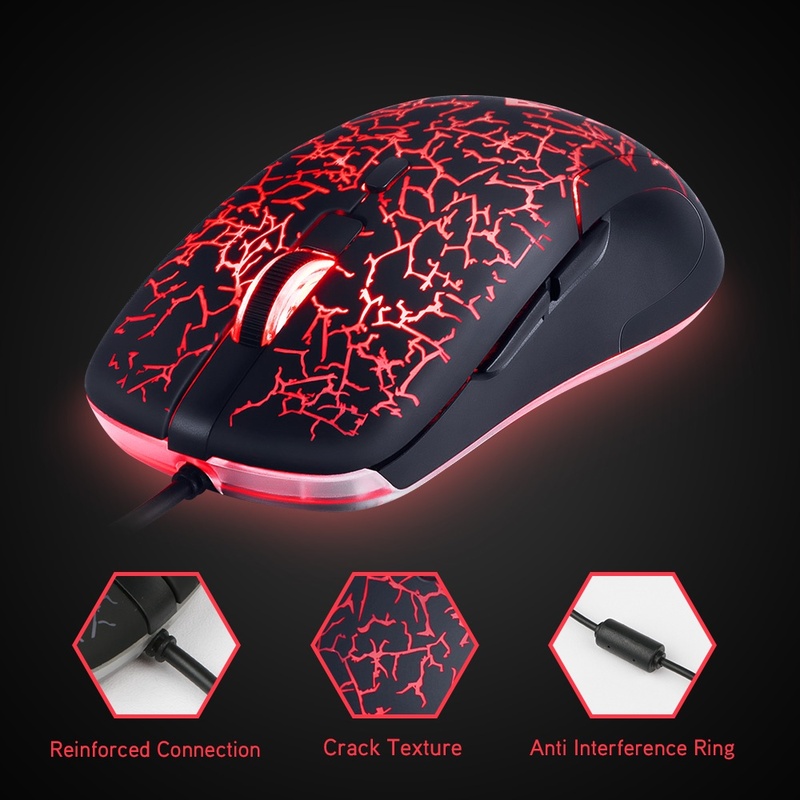 Fantastic Gamers Mouse for the price. New design with shortcut key and light up. Smart price for my replacement. Son loves the mouse, it’s very cool looking but more importantly it’s actually well made and comfortable to use. Sometimes cool looking things are ‘form over function’ but not in this case. Looks like it should last well. 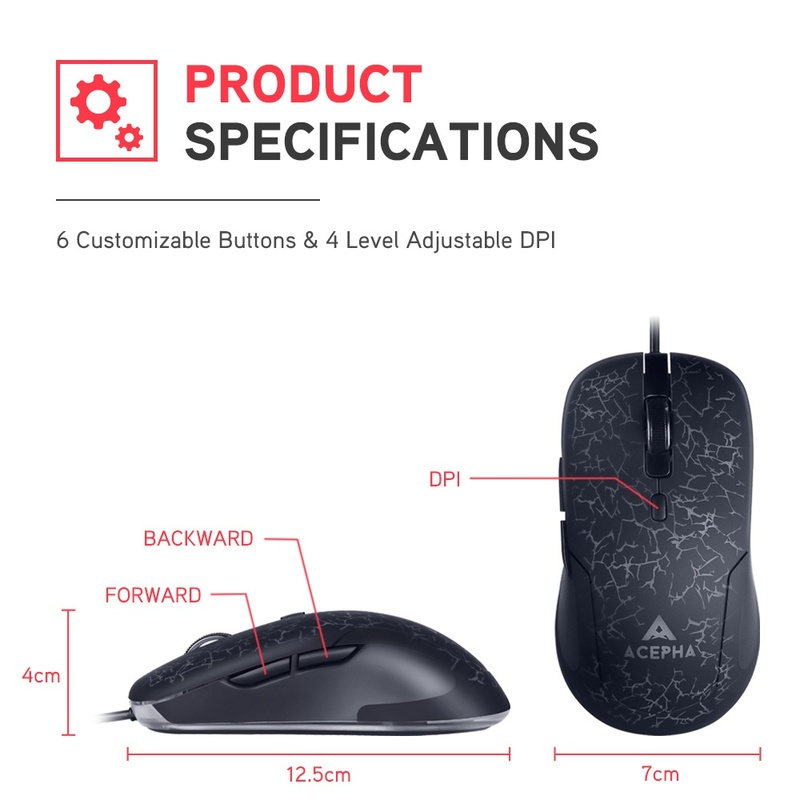 This is a great value mouse. 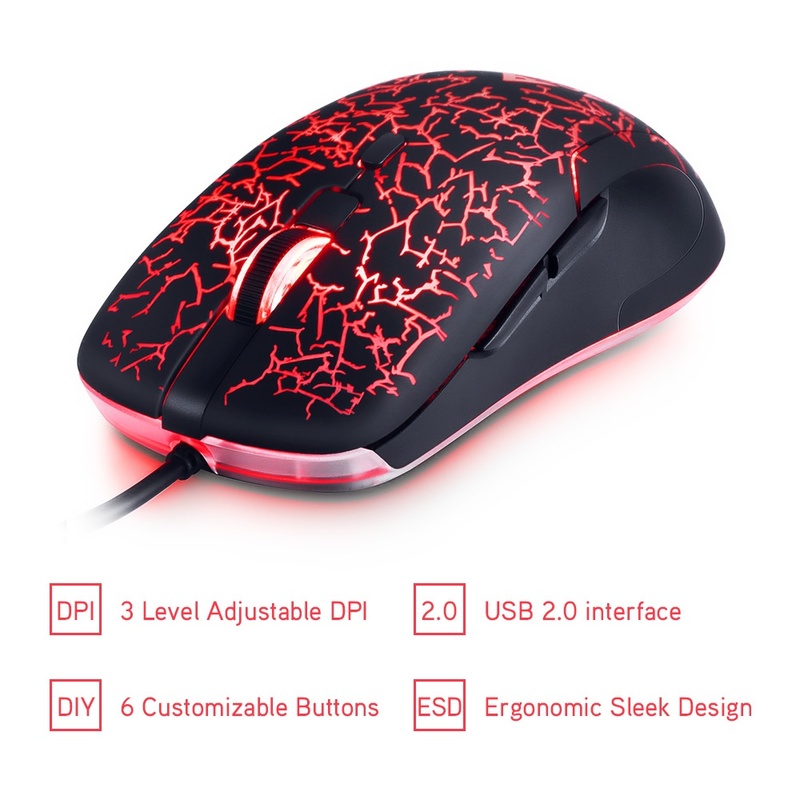 There are some minor niggles like there being no obvious way to adjust the light colour on the DPS settings (or switch it off), but considering this mouse tends to go for ?4-5 it’s an excellent buy. 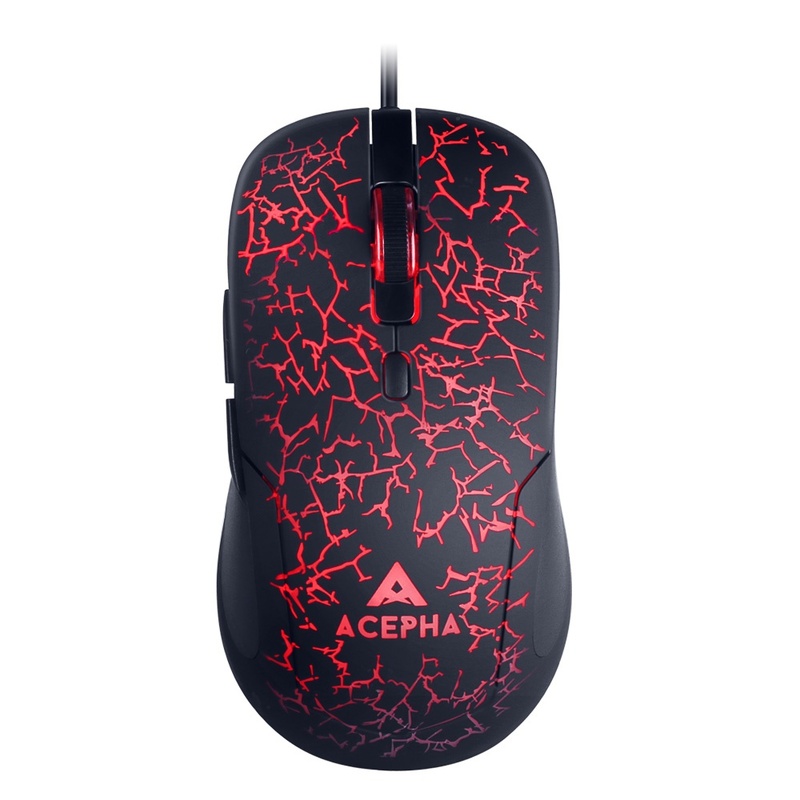 Has replaced my faulty Logitech gaming mouse and was meant to be a stopgap until I get it repaired or replaced, but I really don’t mind using this thing for a good while longer. 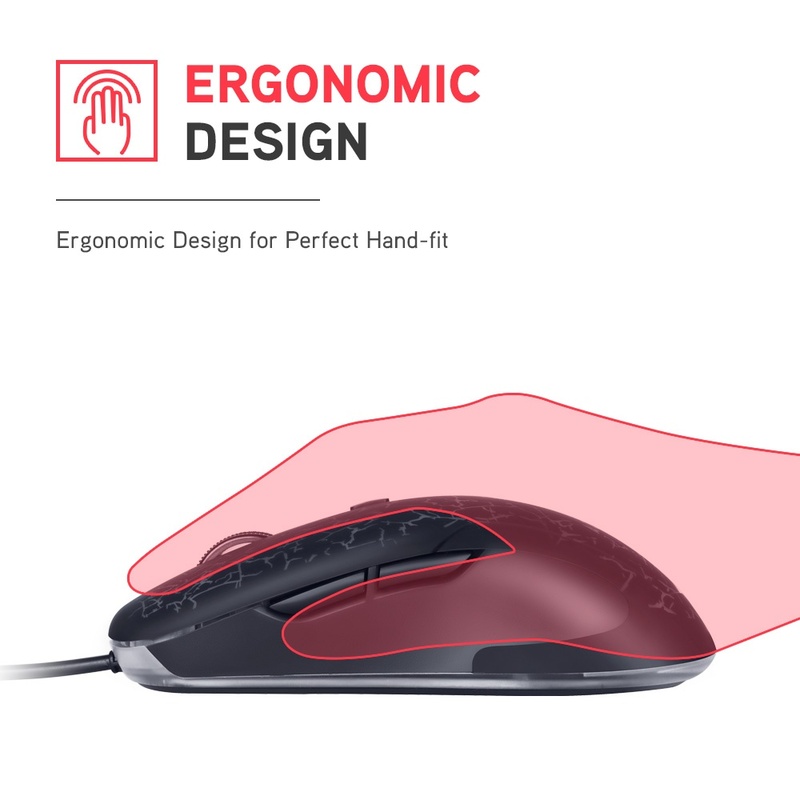 It’s great at what it does: it’s a 6 button mouse, basics, all good. I love light up mice, I love colours so I bought this. Very cheap on discount and worth it. Works well.Seller replaced my faulty one very quickly, happy with purchase.